Significantly reduces the airway inflammation and obstruction in chroic stages. A better choice than theophylline for COPD patients having cardiovascular co-morbidity. Significantly improves cough scoring and sputum quantity in patients with mild persistent asthma. 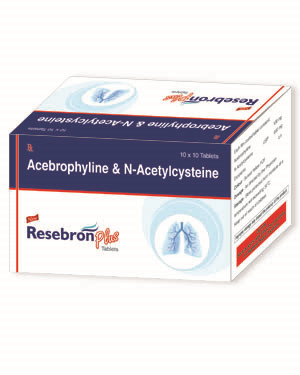 Facilitates the removal of pulmonary secretions & reduces the viscosity of sputum in both cystic fibrosis and COPD. Effectively prevents the Steroid resistant acute exacerbation of Asthma. Offers preventive effects against airways hyper-responsiveness.